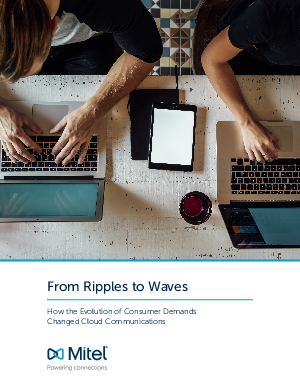 This is a time of rapid and dramatic progress in the cloud communications landscape. New technological innovations help companies incorporate location-independent systems, allowing workers to collaborate and communicate wherever they may be. And all signs indicate this is only the beginning, with the industry poised for unprecedented growth. In fact, as enterprise software moves to the cloud, the traditional unified communications space is having its own dramatic shift. The consumer experiences from Snapchat to Instagram to Facebook among other consumer technologies—are changing the expectations for communications. New models for collaboration and engagement, supported by big data and the cloud, provide a whole new world of opportunities.